Ms. Scott has played a leading role both nationally and internationally in the development of telehealth services, telenursing standards and clinical practice competencies. She has served as a Board/Committee Member or Advisor to many organizations, including the Canadian Society of Telehealth, National Initiative for Telehealth Guidelines, Canadian Council of Health Services Accreditation and Canadian Patient Safety Institute. Ms. Scott is a founding member of the International Council of Nursing’s (ICN) Telenursing Special Interest Group and the International Society of Telemedicine and eHealth’s Telenursing Working Group. Ms. Scott has presented at many national and international conferences. 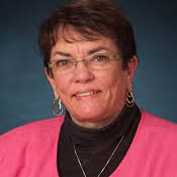 She has been awarded the Nurses Association of New Brunswick’s Award of Merit for Nursing Leadership and the Canadian Nurses Association’s Centennial Award in recognition of her national and international contribution to the nursing profession.